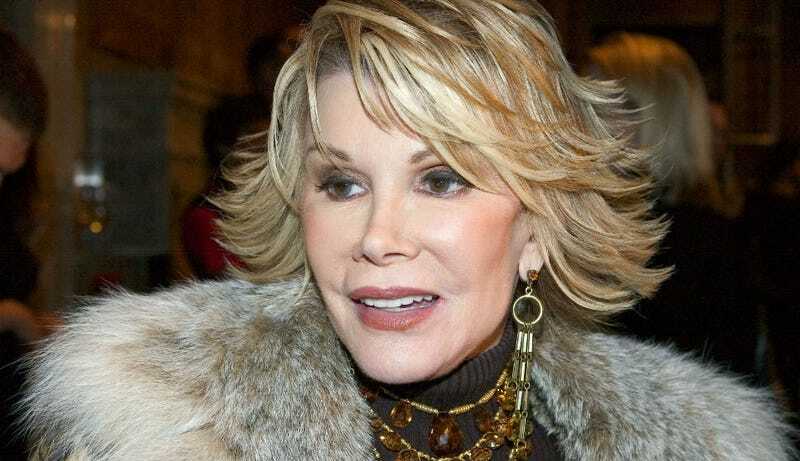 Comic Joan Rivers said she will not apologize for a "joke" she made about the Cleveland kidnapping case, even though at least two of the victims have spoken out about it through their lawyers. Rivers made an appearance on The Today Show Tuesday to talk about her new show "Joan and Melissa: Joan Knows Best?'' At one point in the show, she made a joke comparing her living arrangements to the the three woman who were held prisoner by Ariel Castro. Rivers told the audience "those women in the basement in Cleveland had more room." In an interview with The Plain Dealer, Rivers said she has no reason to apologize for the line. Rivers said she was thrilled that the women are OK and said she hopes they have productive, joyful lives. She also said The Plain Dealer should "stop writing about my stupidity'' and worry more about government leaders. "Our clients have become aware of Joan Rivers' unfortunate comparison of living in her daughter's guest room to their captivity,'' said a statement from lawyers James Wooley and Heather Kimmel. "We understand that Ms. Rivers is a comedienne; however, the idea that a celebrity would say something this hurtful, on national television, no less, is beyond shocking and disappointing. This is Rivers's schtick now, I guess. Finding the most inappropriate, horrible and shocking topic to make a joke about and then driving up some attention for herself and whatever she's plugging. I know this isn't a very popular thing to say, but I really like Rivers. She was a comedy pioneer and changed a lot of things for women in that industry. But I hear that joke and I just CRINGE. She's become a parody of herself.